Spanning both 100 and 114 Wellington Street, our office space forms a thriving business community at the heart of Leeds’ booming West End district. As one of the largest multi-let office buildings in Leeds city centre, West One offers stimulating and collaborative workspaces of all shapes and sizes. From a meeting room for a day, two serviced desks for a month, a retail unit for a year or a full floor office for ten, the choice and flexibility of the spaces on offer ensures there is a perfect fit for you here. The business lounge area provides an additional space for informal meetings and solo working whilst the central courtyard provides valuable outdoor space. Plus the monthly programme of social, business and wellbeing events brings our community to life, creating opportunities to meet your neighbours and see how ideas can be shared. 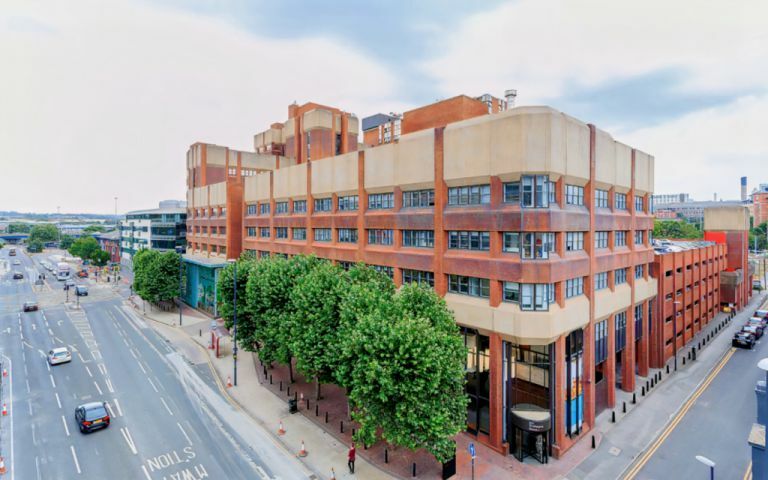 Located in the heart of Leeds West End commercial district and less than 10 minutes walk from the city's mainline station and shopping area, West One seamlessly combines office space, serviced offices and meeting rooms all under one roof. Prices shown are per desk per month and should be used as a guide only as they are affected by current availability, term required, different grade of offices within the building, etc. Current, accurate pricing for all offices will be provided when enquiring.